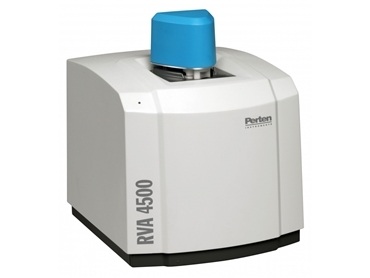 The new RVA 4500 viscosity analyser, available from Perten Instruments Australia , combines exceptional sensitivity and accuracy when analysing low viscosity samples, as well as wide dynamic range when analysing high viscosity samples, all in a single instrument. The RVA 4500 is a cooking stirring viscometer with ramped temperature and variable shear that can be used to determine the quality and processing characteristics of starch in grains, tubers and flours, as well as extruded and cooked foods and feeds. The RVA 4500 viscosity analyser also has applications for protein foods, ingredients such as modified starches and hydrocolloids, and malting and brewing. The RVA 4500 viscosity analyser combines speed, precision, flexibility and automation with USB connectivity to make it versatile and easy use. This makes the RVA 4500 a unique viscosity analyser for product development, quality control, quality assurance and process control.